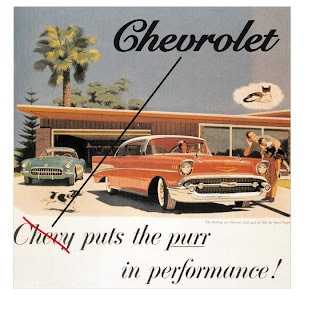 ad broad: is Goodby responsible for killing Chevy? Ha! Love that ad. And the cat's in a cloud above the house. In case you forgot what animal purred, but wouldn't be found in the front yard by a revving car. Ha. Did PETA exist in those days, Jessie? Maybe they forced agency to show animal out of danger. 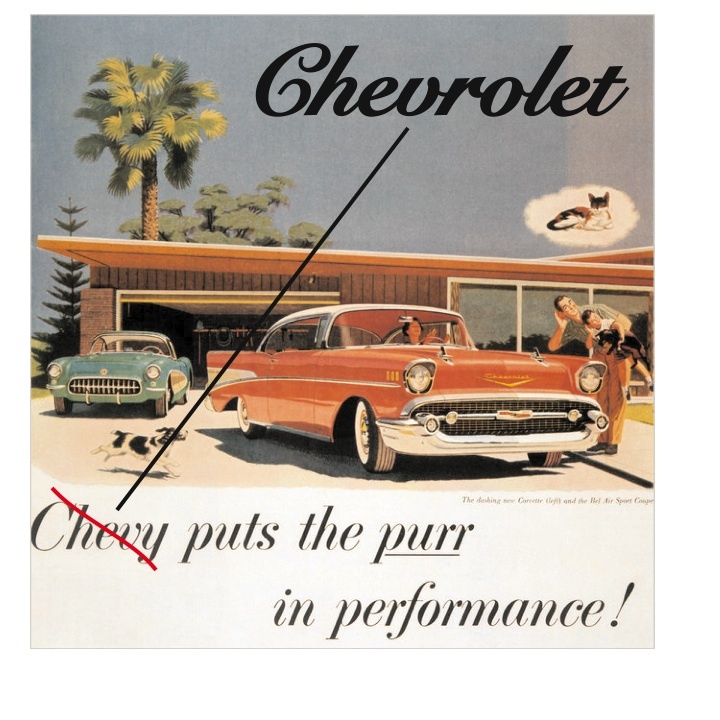 Chevy/Chevrolet bit a PR scam. I'd like to say I knew it! Well, I sort of new it. Loved the collection, California Girl. 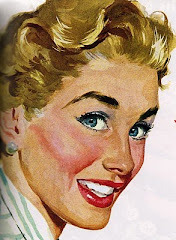 Smoking Santas, soda-swilling babies, housewives as throw rugs--them's were the days! In related news, we are no longer to use the name 'Goodby' when discussing the legendary ad agency. The shop will henceforth be referred to as 'The Great and Mighty Goodby, Silverstein & Partners'. Due to an unexpected rise in the peso, that story was relegated to page 13B.